Sharks Antibes (ProA) added to their roster 29-year old Central African international small forward Max Kouguere (198-87) He played for Pau-Lacq-Orthez most lately. 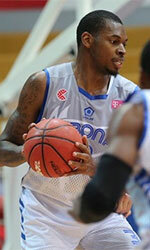 In 34 ProA games in France he recorded 6.1ppg and 2.4rpg last season. The previous (14-15) season Kouguere played at Entente Orleans 45 where in 24 ProA games he averaged 4.1ppg and 2.2rpg. He is a dual citizen owning also Congolese passport. Kouguere represented Central Africa at the Afrobasket Championships in Rades (Tunisia) last year. His stats at that event were 5 games: Score-5 (18.0ppg), 5.2rpg, FGP: 60.5%, 3PT: 21.9%, FT: 70.8%. Kouguere is quite experienced player. His career allowed him to visit three different continents, while he played in four different countries. 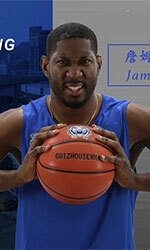 Kouguere tasted the life as pro basketball player in Europe, Africa and of course North America. He has played previously professionally in Spain (La ICL Manresa), Switzerland (Geneve Lions), France (Le Mans and STB Le Havre) and Congo-Brazaville (InterClub).